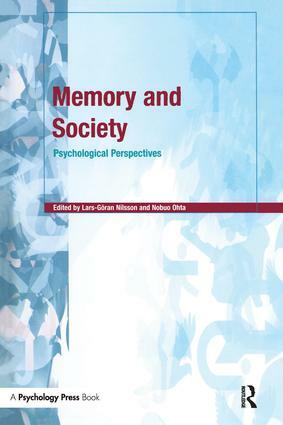 Memory and Society explores the social factors which influence human memory and our conceptualisation of memory. It examines the relationships between memory, society and culture and considers the relevance of theories of memory to real world issues. The opening section deals with the topic of autobiographical memory. It looks at the role of the self; how the self is shaped by society but also how it is the self which encodes and constructs memories. The Reconstructive nature of episodic memory is considered and how the present acts as the basis for remembering the past, with the rememberer's beliefs, desires and interpretations playing a central role. The middle section looks at the influence of the social environment on learning. It debates the relevance of the application of basic principles gained in laboratory settings to learning and memory in social settings. These principles are used to throw light on topics such as e-learning, eyewitness testimonies and optimal treatment and thinking. Moreover, these real world scenarios are themselves used to throw light on basic principles and how they can be improved. The final section looks at the social consequences and costs of memory deficits, covering normal aging and pathological changes in old age, memory deficits related to dyslexia, working memory problems in everyday cognition, problems in executive functions in chronic alcoholics, and Korsakoff amnesics. It also examines methods of rehabilitation for everyday life. Incorporating contributions from leading international authorities in memory research, as well as new data and ideas for the direction of future research, this book will be invaluable to psychologists working in the fields of memory and society.